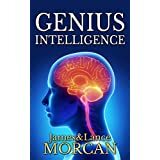 Speed writing is the last of many intelligence-boosting techniques — some proven, some not — we explore in our bestselling GENIUS INTELLIGENCE: Secret Techniques and Technologies to Increase IQ. However, it’s only right to add a disclaimer, pointing out that to our knowledge no studies have been done on it whatsoever. In fact, we are not aware of anyone else ever having mentioned it before – at least not in the way we approach it. Certainly, there are numerous books and websites devoted to writing manuscripts quickly, but we aren’t talking about writers completing entire novels super-fast or students writing essays or letters in half the normal time. Ours is simply an unusual little speed writing technique we discovered by accident and noticed it worked wonderfully on many occasions and always when we were severely time pressured. We consider this fortuitous discovery an important ingredient in our successes as published authors and feature film screenwriters. This technique, like many of the others listed in this book, no doubt relates to outrunning the conscious mind and going so fast that the superior subconscious is forced to completely take over. So, as the name suggests, you write so quickly that you don’t even know what you’re writing anymore. The goal is not to get instantly well-written text, but rather stream-of-consciousness stuff that you can revise and give clearer meaning to later. According to our experiences, the resulting stream will usually have pearls within it, but a lot will need to be edited out as well. Some of our best plot ideas or character decisions in our novels and film scripts have come using this speed writing technique. We just write super-fast and almost without thinking – maybe for five minutes or so – and more often than not what we wrote solved a major storyline issue or character problem. It seems that certain insights can only come in this manner – or at least come more easily – as opposed to writing at regular speed. Sometimes you hit a brick wall when writing novels or screenplays. Something is missing and that something cannot be rectified with the conscious mind no matter how hard you try. We’ve also found speed writing is one way to solve the dreaded writer’s block. Whether you use this method to add to an existing draft of a document, or whether you’re still attempting to complete a first draft, it works. We’ve proven it to our own satisfaction on numerous occasions. Speed writing is not just for authors of course. 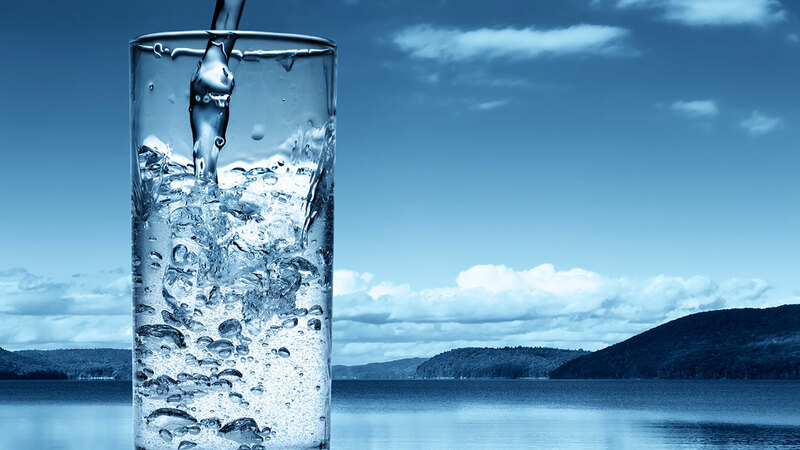 It can be used to good effect by others – students who may be writing essays, for example, or business executives drafting reports or preparing finance proposals. It can even be used in your personal life when you’re facing a dilemma and cannot think of any solutions with your conscious mind – in this case you can speed write a list of possible options and see what your subconscious mind delivers to you. If you want to test the method we use, try the following: put yourself under a time constraint by setting an alarm clock for 5-10 minutes then tell yourself you must write as much as you’d normally write in 45-60 minutes. Go! Until the alarm clock rings, don’t judge yourself or censor yourself or analyze anything – simply write as much as you can, as quickly as you can. During the process it may feel like you’re writing utter garbage, but if our experiences are anything to go by, there will at least be some gems you can retain or use to vastly improve whatever it is you’re writing. Our theory on why speed writing works is that you are not only forcing yourself to operate at speeds that only the subconscious mind can keep up with, but you are also not analyzing, censoring or critiquing what you write as you go (another bad trait of the conscious mind). The best ideas often seem ridiculous at first and this technique allows you to just get all ideas out of your head and onto paper so you can consider them later. Exactly how does speed writing relate to genius intelligence? 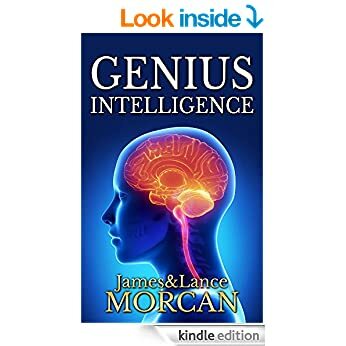 Well, the connection is totally unproven, but instinct and personal experience tells us that, if done correctly (trance-like and without hesitation), you’ll tap into that great reservoir of the subconscious mind where all genius abilities come from. 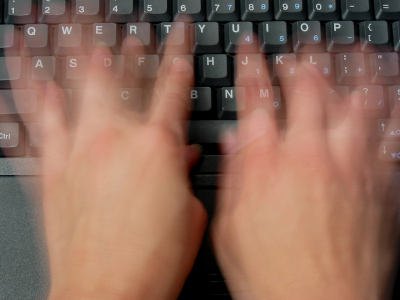 A final point: when speed writing, it’s immaterial whether you write with pen in hand or use a computer keyboard. That said, we find speed writing seems to flow better when handwriting text – almost as if the pen’s a natural extension of the hand, allowing thoughts and words to flow directly from the brain onto the writing pad. 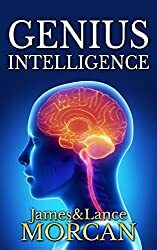 Developing peripheral vision is one of eight additional intelligence-boosting techniques we investigate (in addition to many of the more obvious ones) in our bestselling GENIUS INTELLIGENCE: Secret Techniques and Technologies to Increase IQ — techniques we believe may hold brain boosting potential for aspiring geniuses. Peripheral vision is what we use when something catches our attention “out of the corner of our eye.” It is the opposite of central vision, which is literally the center of our vision (looking directly ahead). Most people in the modern world use central vision all day long with narrow field activities – such as looking at computer screens, reading books and watching television. This is akin to tunnel vision. The reason for deterioration of our peripheral vision can be seen here. The problem with central vision is it has been shown in studies to be directly linked with beta brainwaves and the left hemisphere of the brain – in other words, stress city. 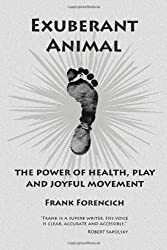 In his book Exuberant Animal: The Power of Health, Play and Joyful Movement, author Frank Forencich says, “We can be sure that long-term overuse of hyperfocused vision, coupled with atrophy of peripheral sensation, will lead to extensive re-wiring of the brain. 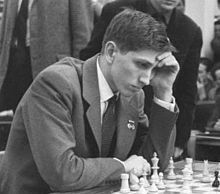 We can even speculate on a possible link between balanced vision and intelligence. Chronic, tightly focused vision can do amazing things, but it only taps a fraction of our visual-cognitive capability. Monotonous visual inputs may very well lead to static, stereotyped thinking. Book addresses the vision issue. Widening your vision to something closer to 180 degrees and becoming aware of everything to your extreme left and extreme right. Defocus the eyes to counter the hard focus that occurs in central vision. Practice eye exercises – especially ones that include a lot of wide-sweeping eye movements. Play team sports like soccer or basketball, which force you to constantly use your peripheral vision.